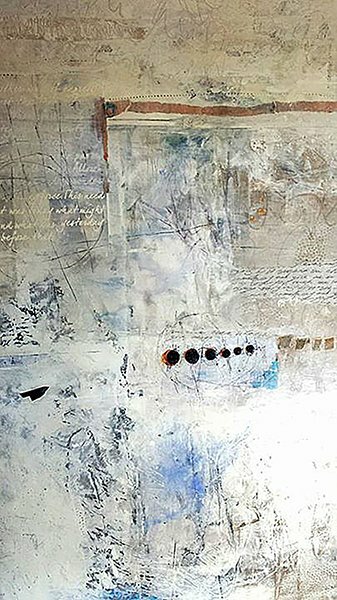 Artist Gina Louthian-Stanley believes “a painting is not made with theory alone, the materials are also a vital component.” Though her work develops intuitively, she may begin with a predetermined medium, technique, and color palette. The end results of exploration of various surface preparation and applications are beautifully nuanced color harmonies and surface textures. 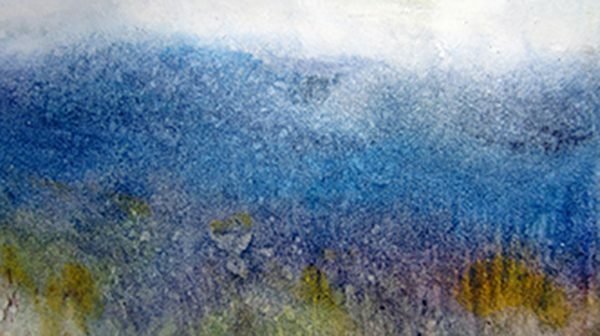 Her work has primarily been as a monotype printmaker—mixing media on alternative surfaces with various inks, oils, solvents, and wax, and it is in her “Landscape” category where you will find most of these works. 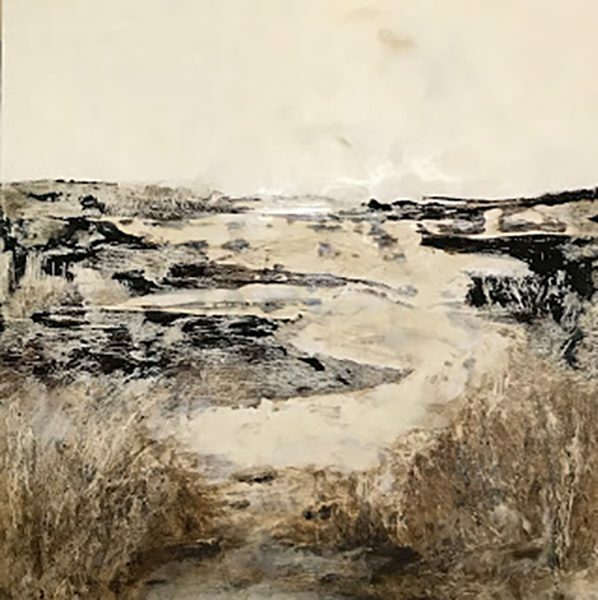 Interestingly, the other two categories, “Cold Wax and Oil” and “Encaustic,” are organized by medium, though you will also find there works that seem equally inspired by landscape, imbued with similar subtleties that seem a hallmark of her style. “No More,” in the “Cold Wax and Oil” category, yields an effect similar to some of her encaustic, although without the heat. She explores the versatility of this medium by scraping, scratching, and drawing into the surface with a variety of tools. Color intensity is selectively accented by a translucency, the allowing of light to penetrate the paint’s surface. The “Encaustic” category showcases how she explores encaustic and encaustic monotype as layers with added texture and depth, as in “Springtime Emerging.” This combination of beeswax, Damar varnish, and pigment is heated and applied with a variety of tools to the surface. It then is reheated to fuse each successive layer to the surface. 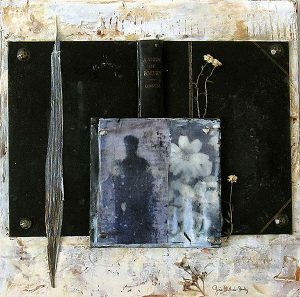 Her encaustic monotypes are created directly on a heated palette. 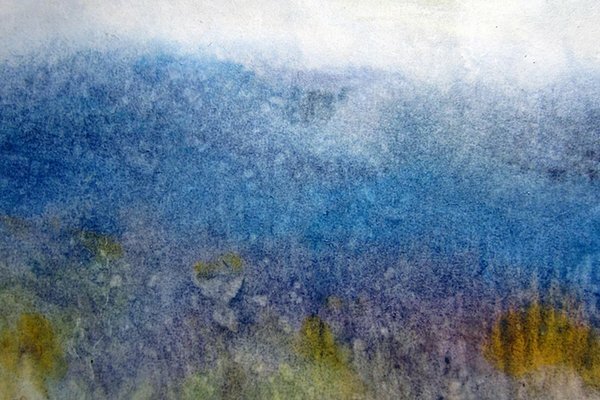 When the temperature is right, it is transferred onto a sheet of paper, similar to traditional monotype printmaking technique. Her “Landscape” category is derived from her roots in an artistic family, and having been born and raised in Roanoke County, Virginia—home of the Blue Ridge Mountains. She was influenced early on by many artist and musician friends, as well as mentors. She says: “My subject matter is always related to the landscape in some way, shape, or form.” The ethereal mystery of “Springtime” personifies this sensitivity. 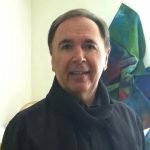 Gina Louthian-Stanley is licensed in the state of Virginia to teach art Pre-K–12, and teaches art to adults and children privately and through the Studio School in Roanoke, Virginia. Classes are detailed on her site. In addition, she is a workshop instructor at the 310 Art Gallery at the Rivers Edge Art Complex in Asheville, North Carolina. Her blog lists gallery affiliations, previews new encaustic works, and offers insight into her current works, as she evidently is focussing on larger works. “Badlands” is an arresting and promising sample of the effects this versatile artist will achieve on the larger scale.